El Chat Gratis is a quality free chat site where you can talk to girls and guys who can meet with people from South America, Europe, Central America and North America. There are generally people from Honduras, Guatemala, Mexico, Dominic Rep., Peru, Panama, Paraguay, Uruguay, Venezuela, USA, Canada, Bolivia, Spain, El Salvador, Ecuador, Cuba, Chile, Colombia, Costa Rica and Peru. It will be a good opportunity if you ever want to meet with girls one of these country. It’s a free chat service and no registration needed for it. All you need is entering the main page of the website and go through El Chat Gratis chat room. Then you will able to talk to strangers from all countries which we have counted above. It’s very easy to figure out genders of the strangers since everyone is choosing their gender before they enter the chat room. This will help you to meet girls and guys from different countries of the world. You can chat in English and Spanish languages on the site. However Spanish is common language. Many people know English but you will meet people who don’t know that language at all. So you should be patient while you are trying to someone who knows English well or if you know Spanish, you can still use that language to talk to people. You can talk to female strangers from North America and South America on the website. There are generally people from these locations on the site. There are also people from Spain too. You will already have a chance for meeting them too. However they are not much like North Americans and South Americans. So don’t expect too much. El Chat Gratis is providing this free service for you with no registration required. It’s a text chat. If you don’t like this free service, you can also try Chateagratis alternatively. It’s also another free text chat service. If you would like to talk to Latino American girls on a random chat site, you will want to look our Omegle Latin American girls guideline. 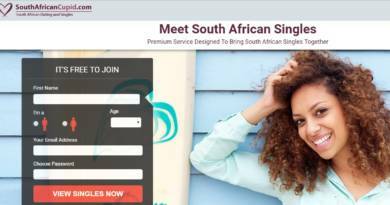 Do you want to meet South American or North American guys on a website? So El Chat Gratis will be a good opportunity for you since there are many online male users on the site. It’s free for you and it’s a text chat service. You won’t need to register at all. You will send and receive messages freely and make new friends from different countries of the world. You can always use this site as a friend maker. Hi honey , I find myself love your eyes , let’s love cover up us !